11.4 miles | 4850′ ele. gain | 8 hr. A little tired and groggy from a long hike the day before and a tough night sleeping at camp, I met Jamie at a parking area near Pinkham to spot a car for today’s hike. I originally thought we’d just do the Wildcats but when I got my first view of Carter Dome I was convinced to hike up there. My legs weren’t nearly as sore as I thought they’d be. The hike up the Wildcats was relentlessly steep. Scrambling up rocks was not the best way to start the day, but there they were. 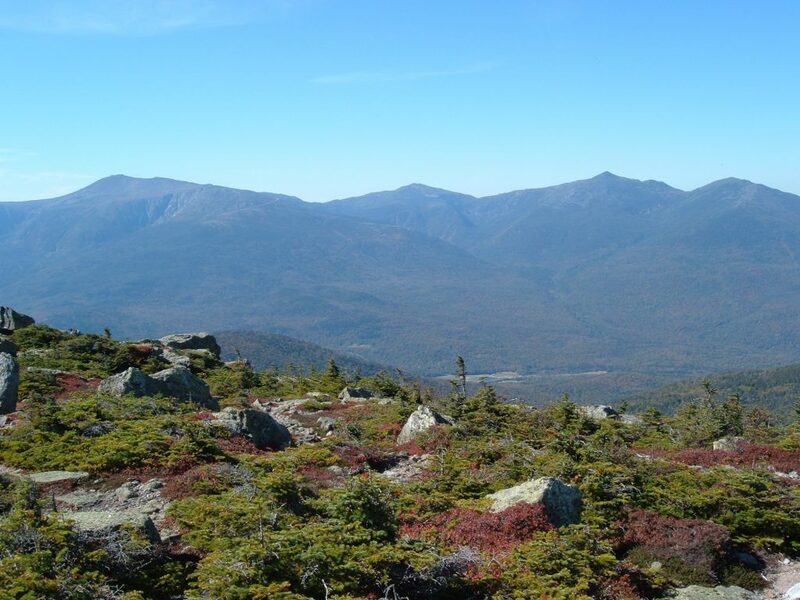 We caught many impressive views out to the Northern Presidentials and identified some of the trails and landmarks on Mt. Washington. We were both in awe of the beauty of the fall colors as well. We pressed on to reach Wildcat D, with its lovely ski buildings, in about 1.5 hours. After a quick break, we continued along the ups and downs of the ridge to Wildcat A. A short spur led to a lookout where we sat, ate and chatted. It was here that Carter Dome stood, beckoning, in front of us. It was still early and we were both feeling great so we quickly dropped down to Carter Notch and paused briefly at the hut before climbing Carter Dome. Again, the ascent was very steep. What a good choice for a hike! Along the way we saw only a handful of hikers. On top of Carter Dome, we ate again and relaxed for 30-45 minutes without a soul in sight. There weren’t many views but the sun and breeze felt great. Another nice hike in good company. In no time at all we made it to Mt. Hight, which offered panoramic views. We only had to share the moment with hordes of biting flies, which I could have done without. We continued to try to identify the nearby landmarks from our perch. From here it was all downhill. 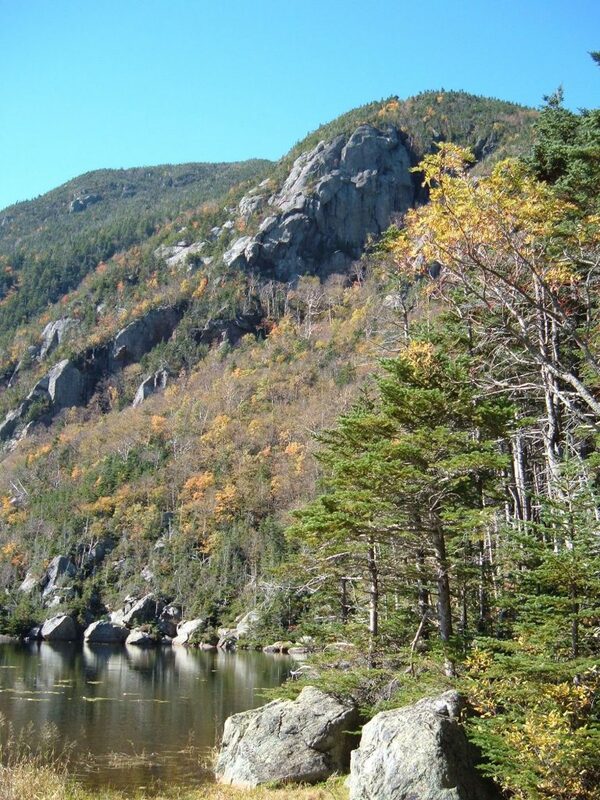 We quickly descended to Zeta Pass and then to 19-Mile Brook trail. It was a scenic walk along the river and the trees were all turning colors. All in all, this was a 30-mile weekend for me. Although it was torture on the legs, every second of it was worthwhile. I was amazed at how empty the trails were today. I really felt like I was able to get away. This entry was posted in Hiking, New England and tagged hike366 on October 4, 2005 by Jess B.